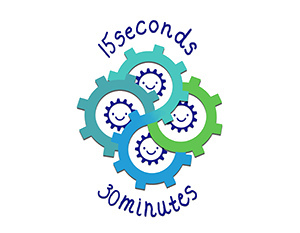 15 seconds 30 minutes (or 15s30m for short) aims to help anyone identify how they could spend a few extra seconds on a task now which will save someone else 30 minutes or more later on. In doing so you will reduce frustration and increase joy. Joy in work has been proven to help staff to do their best and deliver safe and effective patient care. Improving joy is the key to retaining the workforce and reducing staff sickness. And who doesn’t want to enjoy coming to work every day! 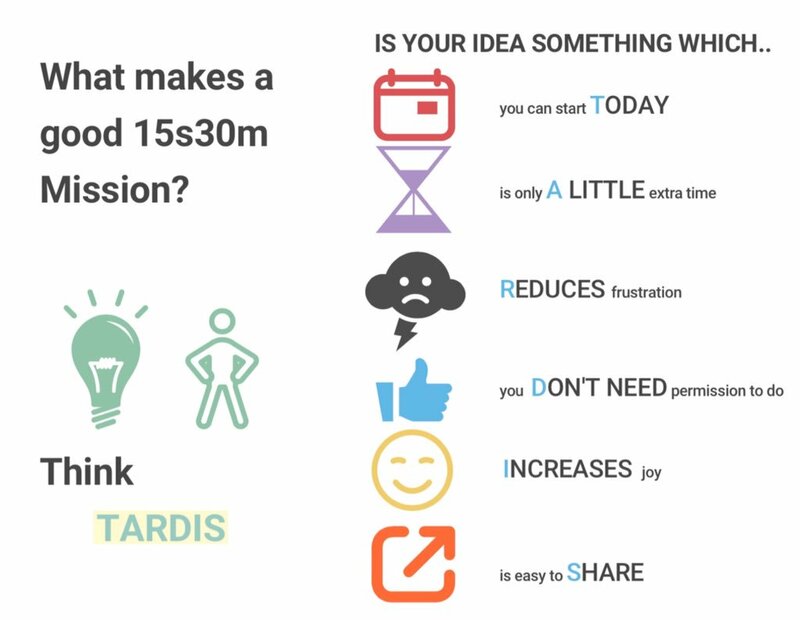 15s30m is a change platform which individual staff or patients or whole organsiations can use to release the value in every idea. To get started you don’t need a charter or formal plan or programme initiation document: its just individuals being empowered to do what they know is right for staff and patients. What is a 15s30m Mission? We all know across organisations that trying to make a task as efficient as possible in one area can actually add time to someone further down the line. The people who know how to make the patient journey less frustrating are those on the front line – yes you! Often it can be difficult to know how to make the little changes you know can make a big difference. We call these tasks 15s30m Missions and anyone from Chief Executive to Porter can get involved. Check out our YouTube channel to see our top 15s30m Missions that you could do tomorrow in your organisation, click the button below. We are thrilled you and your organisation are joining our social movement. Launch a mission: you can come up with your own idea. Here’s a Mission Pack you can use to help you – remember to think TARDIS for ideas which work well. If you need inspiration, check out our YouTube channel for some simple ideas any organisation can try, or our list of 15s30m 100 mission list tidied. And don’t forget to tweet or email us to say what you’ve done! Book a virtual catch up session with Dan & Rachel via our contact form. I'm too busy for this, but are you really? Is it just for clinical staff? 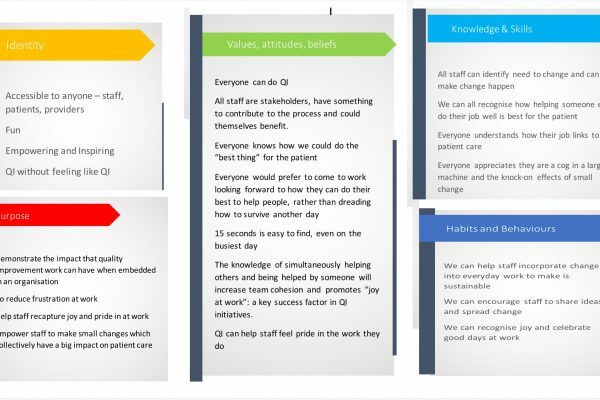 15s30m began as a quality improvement project; a new way of engaging staff with QI but without the need for training or any understanding of what “QI” is. The inspiration began with a washbasket: every night Maddie (Rachel’s daughter) is asked to put away all the clothes from her floor and bed and chair before she goes to bed. Her usual approach is to put everything, clean or dirty, into her wash basket. “If you just spent 15 seconds putting your clean sock in the drawer, or hanging your clean jeans up on the hanger, you would save your dad and I half an hour week in laundry time, and that’s time we could be spending with you!” Maddie was doing what I’d asked, but the way she was doing it was causing lots of extra work. Many people will sympathise with this story: either the exact scenario, or a parallel one at work – if a member of staff took a slightly different approach, perhaps taking a few seconds longer, it could save a lot of other people time later on. Most Quality Improvement initiatives begin with a training programme, introduction to a new language, bewildering terms like PDSA, driver diagrams, run charts: to many staff this is overwhelming and the sense of having to adhere to a complicated set of rules and procedures before they can make change. While these aspects are important for many Qi projects, they push the smaller, immediate, frontline ideas out. 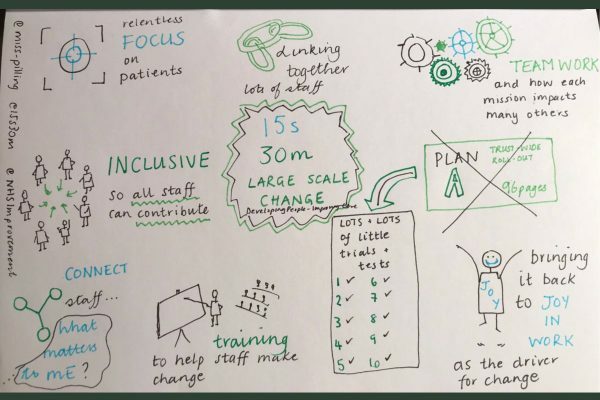 15s30m is “quality improvement bitesize”, QI for people who don’t think QI is meant for them, or for people who are tired of trying to have their idea heard. But start small: don’t think about how you’ll get the message out to 1000s of staff: just pick one small area and make a start! WHERE HAS THE SOCIAL MOVEMENT SPREAD? 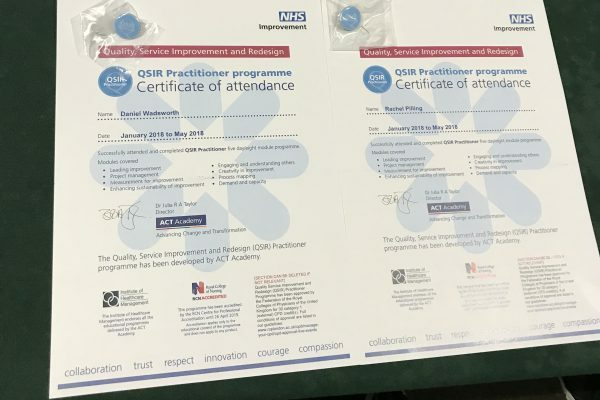 We have followers all over the world, and 15s30m has been presented at national and international events such as NHS Im provement Workforce, International Quality & Safety Forum in Amsterdam, and the Institute of Health Improvement Meeting in Orlando. Our first wave of heroes in the UK are in trusts in Cornwall, Wigan and York. We are involved with #project A and the Ambulance Service, as well as the Yorkshire Improvement Academy Quality Trainers programme. 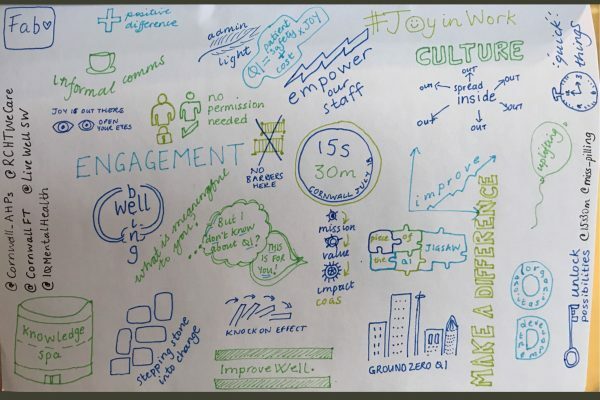 By helping staff feel connected to their work, to see how they are making a difference, especially if they are not front line, we can improve their work life. Many healthcare organisations are undergoing large scale change; typically this is “top down” with high level managers making decisions and then expecting the workforce to deliver improvements. 15s30m believe that the most effective change, the one that ‘sticks’ and continues, is change which is suggested by and started by the workforce itself. Frontline staff know best how to do the job they ar doing: why it’s frustrating and often how to fix it. We help them voice their ideas and get them running: in and doing so improve the emotional connection peopl have to their work. Dan Wadsworth is a Transformation Manager at Bradford Teaching Hospitals NHS Trust, and has worked in the health service for 10 years. He was instrumental in bringing about large scale change to a struggling workforce in an administrative setting, and continues to use these skills to bring about change through 15s30m and his transformation role. He values commitment and energy in staff, and believes that getting the system right is key to enabling staff to be the ‘best version of themselves’ at work. Rachel Pilling is a Consultant Paediatric Ophthalmologist who has worked in Yorkshire since 2005. She has been involved with large scale change in the area of Learning Disability and Special Needs eye care and worked with Dan on projects in Bradford since 2015. 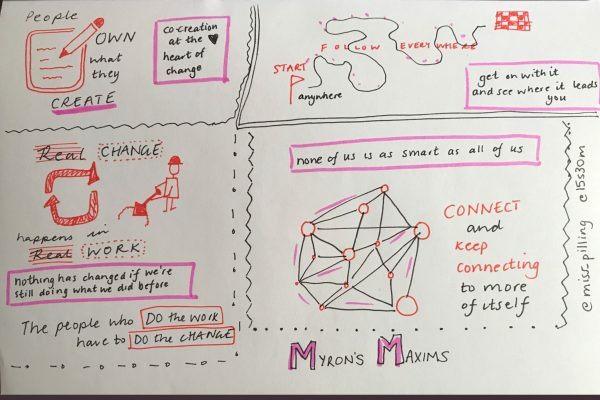 Rachel believes that large scale change can only occur by empowering the workforce, helping their voice to be heard and enabling change to occur “inside out” rather than “top down”; to create an army of change agents who enjoy the job they do, and bring joy to others. What is QI and how does it link to 15s30m? Click here to find out how the Festival went! What will your #15s30mMission be? Don't forgot to tweet us when you've done a mission, so we can spread your idea far and wide. We often see lots of ‘condemned’ equipment while we’re out and about, but have you reported it? @AvocetNsft @TraceyT12681 We do love an improvised workshop! Glad you found enough on the web to just go for it! @AvocetNsft @Welcome2Yorks Hi @AvocetNsft! 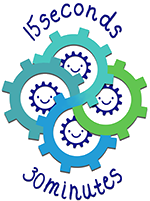 We’d love to add you to our Map of Joy and send you some 15s30m goodies for the Missions your workshop created - please drop us an email info@15s30m.co.uk so we can post them out! 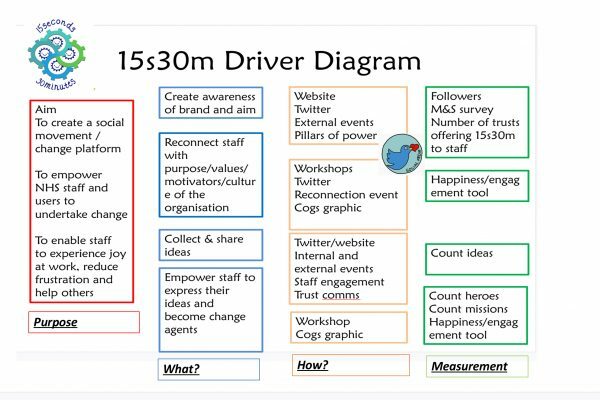 @15s30m offers a solution for the last of these, is easy to implement and accessible to staff at all levels, from porter to Chief Executive. @tom_peters @mikechitty Feed-FORWARD is so much more effective - asking what would you do the same or different next time? @KKessack @DawnNortman @sarajan16181976 @AJONeill11 Oh we hope not! You could even just present some of our videos on YouTube which explains the ‘how & why’ if you’re short on time! What else would like to see on our website?